The line Ferrovial Genova-Casella (FGC), the part from Genova to Campi. 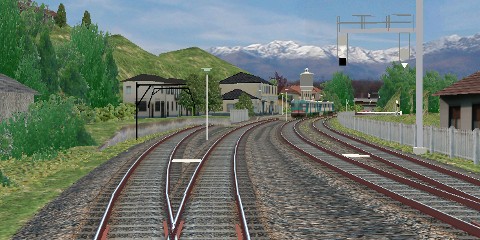 The railway goes through a mountain landscape in northwest Italy. 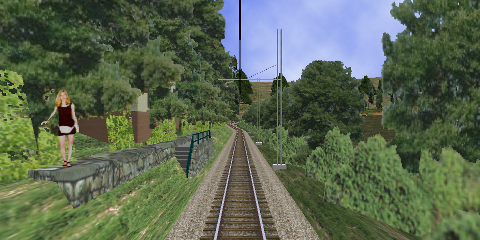 The line is electrified using overhead wire (3 kV DC) and the gauge is 1000 mm. Detailed route and beautiful landscape. The Santhià Biella line goes between Santhià and Biella in northwest Italy. Most well-done and beautiful route with detailed landscape, many trackside details and soft curves and realistic switches.